Have you started to become flustered by the lack of space or look of your home? Have you been working with a realtor to find a new home and haven’t been able to find your dream house? Maybe you are just about ready to sell but your house needs a few updates? No matter the reason, there area options for homeowners looking to hire a professional home contractor when looking into options for updating and modifying their homes to fit their current needs. Lots of renovations start because your family changes and the layout of the home is not working for you any longer. Lots of renovations start in one room and then leak into other parts of the house. Before you know it, you are looking at remodeling your whole house. Obviously, this turns a project that should be easily handled into a great undertaking. There are a number of decisions that need to be made in any renovation. Choices need to be made considering the budget, the purpose of the renovation, materials to be used, and so much more. Remodeling your home is an investment that should always be done in a manner that increases the value of your home. That is why having a plan in place prior to starting any renovation is important. Any renovation, big or small, should never start because of an idea that jumps into your head one afternoon or a solid Pinterest idea. There is too much to consider and often ends up leading to mid-project changes. In remodeling it is crucial to have a plan that allows you to think out every step leading you to improvements in your space. A well thought-out, well researched renovation requires a plan. In order to know what you want it is important to have a vision. You can determine a lot by looking through magazines, websites, and home improvement stores for ideas. Homeowners have their own desires for what they want from their renovations. Consider the layout of the home as well as how the space functions. Make a list of your must haves when creating a definitive plan for your renovation. The size of the space is also important when considering your renovation. Are you remodeling a room, a few rooms, or the whole house? Are you going to add the square footage of the home by adding on or are you renovating within the space you currently have? These decisions will need to take into consideration of the budget. Along with the above, consider the style and design of the other room within the house when merging the décor of your renovation. When hiring a contractor consider their ideas and suggestions. Local contractors also have industry connections which can help ensure the project stays on a proper time line. Hiring sub-contractors, plumbers, electricians, and carpenters is simpler when working in conjunction with a contractor that you trust. Kitchen and bathroom renovations are the most popular for homeowners looking to update rooms in their homes. The one issue that arises with many home improvements is that homeowners jump right into them without planning which just ends up dragging out the renovation process as issues arise. It is a good idea to start with a plan of action and enlist the assistance of a professional contractor to ensure your project becomes a reality. Below is a list of common mistakes that are found to delay or even ruin your renovation. There are some areas in life where bargaining can ensure a great deal however updates in your home is not one of them. It is true, you get what you pay for especially in the materials that you choose to use in your renovations. If you are doing a full-on bathroom or kitchen renovation it is necessary to spend the money and invest in good quality products and contractors. It is money that you won’t regret spending. Create a budget and stick to it when planning out any renovation. Bathroom and kitchen renovations can quickly run over budget. It is important not to lose site of your budget. It is easier to do this when you have determined a realistic budget to begin with. Don’t start your renovation with just a sketch of what you hope to achieve instead get a solid visualization of what you desire, and the costs involved when deciding on a realistic budget. If you don’t have the funds set aside for the renovation and materials, you desire you will know this before your kitchen or bathroom is in shambles. There are a number of elements within a renovation. There will be times in which the most experienced contractor runs into an issue that they didn’t previously see becoming a problem. In a bathroom this could consist of rotting floor boards under the tub, in a kitchen it could be something such as the electrical needing updates to accommodate new appliances. Whatever the issue it is important that you have the wiggle room in your budget to accommodate it. It is extremely rare in any renovation let alone one with so many pieces working in conjunction with one another as is the case in bathroom and kitchens, that everything goes as predicted. We all want our renovations to turn out perfect however even though we have a design stuck in our heads it is important to realize that things will not always go as planned. Sometimes renovations run into issues when materials are on order. If the perfect tile becomes backordered and when they will become available is a mystery, it may be time to consider other avenues, so you don’t go an undermined time without use of the space. Yes, we want what we want but it is important that we don’t out price our home by over renovating. This concept is simple, starter homes don’t often have kitchens designed for a professional chef. These kitchens alone would cost the same as most starter homes. Consider the average cost of homes within your area and make sure your renovations keep your home within the range. Buyers won’t spend extra on a home that the area dictates should be at most $200,000 no matter how upgraded the spaces are within it. Today’s kitchen and bathroom designs look much different than they once did. Long gone are the days of bright colored kitchen accessories and appliances and utensils that serve only one purpose. We have trades yellows, oranges, and greens in for white, gray, and stainless steel. Now-a-days everything is about simplicity and function. Homeowners are looking to create spaces that are organized, uncluttered, and tranquil. There is nothing new to the white and gray color trend that is upon us. In remodeling and new construction both, the peace and calm that comes with this color combination makes it attractive. This isn’t the only trend that seems to be highly identifiable throughout the construction industry. Another trend that seems to be picking up speed is the ability to customize their homes and the spaces within them without dating them. Flexibility in decorating has become important. Homeowners want the ability to switch a few elements and create a completely different space without the expense of a complete room renovation. This allows homeowners to keep up with the latest trends without the costs of remodeling year in and year out. In 2019, trends, updates, and modifications in bathroom and kitchen designs come from innovations in technology and the desire for easy, low-maintenance living. When working with your contractor on the design of your kitchen and/or bathroom renovation consider the following. Technology has improved lots of features in the home including the most basic feature, your toilet. New toilet models have advanced features that make bathroom maintenance minimal. Smart toilet models have built-in features including bidets, self-cleaning functions, and night lights. How great is it to have a toilet that does not need to be deep cleaned on a regular basis? Don’t be surprised when your contractor asks you if you want a toilet seat that is adjustable or one that will warm your bottom! Rustic and industrial-chic features have been a part of remodeling for years now. 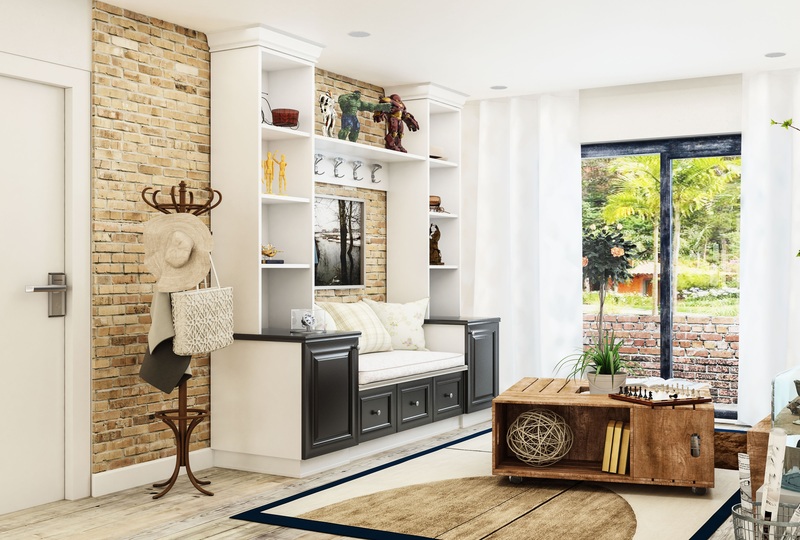 Using barn doors is an efficient way homeowner can gain access to a room or closet without having to make room for the door to swing open and closed. Barn doors are used a lot in universal design because of the safety mechanisms that they can be fitted with to prevent locking from the outside. Bathroom spaces are bigger than ever before. With more floor space comes the ability to add luxury. One of these luxuries is large, free-standing bathtubs. Most stand-alone tubs are large enough that users can actually soak their entire bodies in them, including their knees. This luxury is something that homeowners are embracing. Not only are large bathtubs popular in remodeling but so are larger showers with an abundance of faucets and not just the one overhead. There is a lot of room for originality even when homeowners choose to stick with a neutral gray and white color scheme in the kitchen and bath. The mixing of different tiles including porcelain, stone, ceramic, and glass tiles are being mixed to create appeal. Different textures add charm even if they are in the same color palate. Homes are being renovated to include all types of smart technology. Your toilet isn’t the only thing that can light up and clean it-self. Without ever touching a button, homeowners have the ability to adjust the lighting in their smart mirrors, increase the temperature of the water coming out of the faucet, increase the volume of the television and stereo as well as changing the lighting. Imagine being able to control the radio station without leaving the shower. 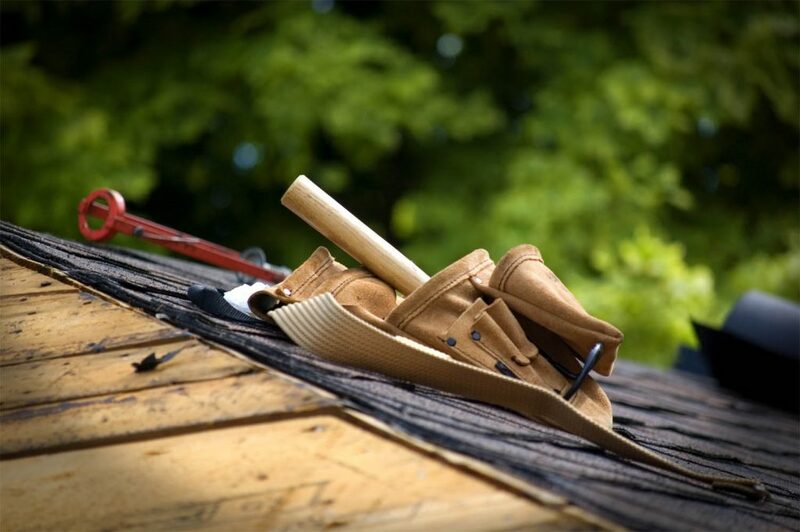 Remodeling a home can be quite an adventure if homeowners don’t properly prepare. There are a number of wrong turns that can be made so it is essential to have a full understanding before you jump into renovations of any kind. Below are a list of things to consider in order to avoid heartache and regret. Seems simple, right? I mean what is so hard to understand about wanting a new kitchen or bathroom? It, however, isn’t that simple. Homeowners need to narrow down what a kitchen renovation means to them. Some homeowners want to completely change the layout while others are interested in keeping the layout but installing new cupboards, fixtures, flooring, and more. It is important for homeowners to work with the designer showing them in detail what they like, important features to them, items on their wish list, and so on. This allows the kitchen contractor/designer to get on the same page with the homeowners. Often times it allows the clients to see how vastly different their visions are as well. This process gets them thinking along the same lines as well. Run the Numbers, Is the Renovation You Want Within Your Budget? It’s true that our dream kitchens and bathrooms aren’t always within our means. When this is the case there are a few options: we can wait on your renovation until your budget increases or we can choose to use different materials in the remodel to keep the costs within your budget. A granite counter top might be the dream but engineered stone (quartz) may be a close second in looks and affordability. Some homeowners need a reality check when planning renovations. Some projects seem simple however because of complicated electrical or plumbing are not. Adding a bathroom to a second-floor bedroom sounds pretty easy but not only do you need the space to install a bathroom you need access to plumbing as well as making sure the structure can withstand the renovation. Sometimes the renovation make seem easy but in reality, be harder and more expensive then they are actually worth. These projects often get abandoned before they even begin. Is This A DIY Renovation or One Left to The Professionals? For all renovations except for those that are so obviously simple should be overseen by a professional contractor. Most homeowners just do not have the skills or patience to complete a room renovation on their own. Also, lets face it, not everyone has the kind of time it takes to gut and redo renovations to their home. The most limiting factor in renovating your home is the cost. Many homeowners believe they can save thousands of dollars by renovating their own kitchens or bathrooms. Then face the overwhelming fact, months down the road that they are in over their heads. Everyone wants to save money when renovating without compromising quality. The team at JFC Remodeling understands that which is why we specialize in high quality kitchen and bathroom design and remodeling that work within our client’s budget. Hiring a professional will not only save you time, money, and aggravation, it will also bring you the results you desire. 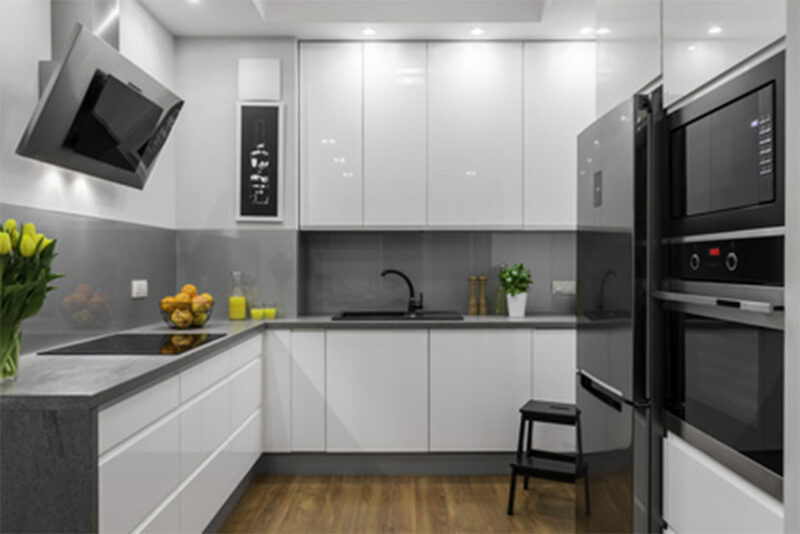 Below are just a few of the many reasons you should hire professional kitchen and bathroom designers and contractors like JFC Remodeling for all of your home improvement needs. Choosing a design, construction materials, and technology for remodeling projects takes a lot of time. This is time that doesn’t include execution. DIY homeowners often forget to take this into consideration when contemplating a large scaled renovation such as updating their kitchens. This can lead to major delays in completing renovations. Hiring a professional contractor will prevent delays. Licensed and insured contractors renovate homes in a manner that is efficient. Professional contractors are knowledgeable about all of the latest and greatest technologies, construction methods, and best materials to use. They are also versed in current building codes and standards that are required to pass building inspections on the first attempt. The goal of remodeling is to have a room that looks more appealing and functional then it previously had been. With the professional expertise of a designer/contractor you get this. The experts at JFC Remodeling work with homeowners to examine their current space, talk about their wants and needs, and create a design that perfectly reflects the overall vision. Once a kitchen design and the desired materials have been chosen the project can begin. Accuracy is a key element in remodeling. Inexperience can often lead to costly mistakes. One of the most expensive mistakes DIY homeowners make is when it comes to measuring. Materials used in kitchen and bathroom remodeling can be quite expensive. From granite counter tops and exotic wood cabinets, materials add up quite fast. Professional contractors are used to being accurate and therefore measuring mistakes are not something that happens often. Another major benefit that comes with hiring a professional contractor comes at the end when homeowners are presented with a finished project. Nothing is better than seeing your dream come to life from start to finish. You are making a huge investment in your home and it is important you get exactly what you want and pay for. The professionals at JFC Remodeling can make sure your kitchen and bathroom remodeling dreams come true. Using Cut-Rate Materials: The old adage is true for a reason, you do get what you pay for. This is especially true when it comes to remodeling projects. If you don’t have the funds to do the renovation properly then wait and save money until you have money to do it correctly. Materials of lower quality can reduce property value instead of adding to it as you wanted. Failing to Consider the Budget: In any renovation a budget is important. Not sticking to your budget can quickly derail your plan. Many people fail to create a budget or just stop referencing it which leads to running out of money before the renovation is complete. New construction project soften are spoiled because funds ran low. Inaccurate Measurements: Incorrect measuring is one of the biggest mistakes in renovating. It is true when measuring, “Measure Twice, Cut Once”. This will prevent costly, time-consuming errors from occurring. 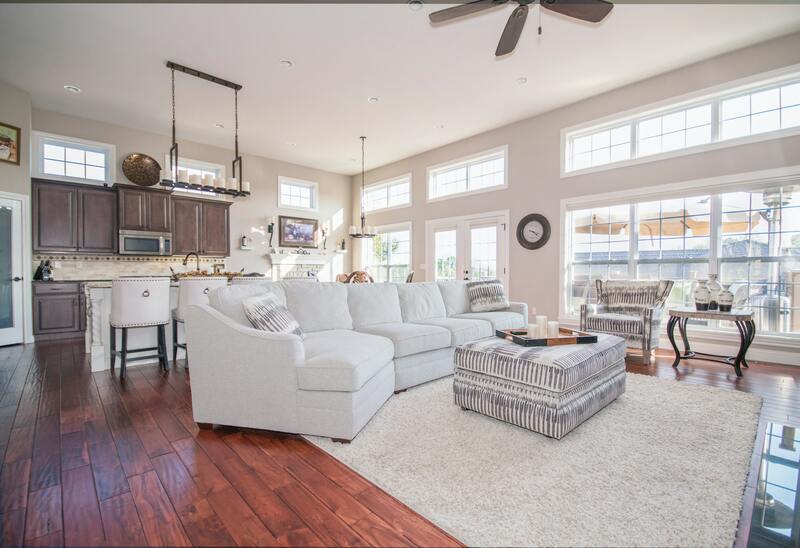 Forgetting About Layered Lighting: Natural lighting is a perfect addition to any room but once the sun sets and the lighting disappears it needs to be replaced. Lighting should be done in layers: ambient, accent, and task. All three aspects should be included in each and every renovation. Too Many Trends and Overly Bold Colors: Trends fade fast and bold colors grow old quickly. The last thing that you want to do is to plan a major renovation on details that will fade fast and be outdated before too long. It is okay to include trends and color but be sure it can easily be switched out. Add trends and bold colors into your design with throw pillows, window treatments,and more. Forgetting About the Environment: There is no reason to forget about the environment in your renovations. Being eco-friendly is not that much more expensive and can lead to less expensive monthly utility bills. It is also simple to do with the installation of energy efficient appliances, light bulbs, and using recycled materials. The best way to avoid mistakes is to pre-plan. Whether you DIY or hire a professional when making home improvements, planning thoroughly can help you avoid making one of the many mistakes listed above. No matter what time of year you are preparing to renovate your home, you will be under extra stress, it’s even worse when those renovations are taking place during the holiday. Remodeling done in the months of November and December can come with a mixed set of emotions. You are thrilled to have the home improvements underway but are a bit ready for them to be completed so you can get on with the celebration aspect of the season. To avoid emotions that are already on fire from turning into a full-blown boil it is important to manage your frustrations while preparing your space for the holiday you desire despite the holiday celebration happening around it. Obviously, there are greater issues when the renovation is of a kitchen or bathroom however, these basic tips will help you manage. Include Your Contractor in Your Holiday Plans: This doesn’t mean inviting them over for dinner or purchasing them new tools for Christmas but instead making sure they know your plans in regards to having people over and when you will be using the space so that they know they have to clean up more appropriately. Be Realistic: Work in conjunction with the contractors and subcontractors to create a schedule to make sure you are all on the same page. This will also help contractors when hiring subcontractors as well as making sure tasks that need to be completed are when they need to be. For instance, if you need the toilet in the first-floor bathroom to accommodate company then it is important it is installed and ready before they are set to come over. Create an Environment of Honesty and Solid Communication: Don’t beat around the bush when communicating your expectations of requirements. Your contractor will tell you if the expectation is realistic or if your requests are way off base. This allows you to plan accordingly. If you find that something is not working how you thought it would and you need to reevaluate the holiday renovation it is crucial you feel able to do so. Set a Spot Aside for Materials and Tools When Not in Use: Holiday accessories already quickly clutter the limited space within your home with added company in the mix. The last thing you want is to have the renovation materials and contractors’ tools in the mix of any already chaotic space. To prevent this from occurring have a space to place materials and tools when they are not in use and company is expected. Of course, this is not something that should be expected on a nightly basis especially when contractors will be performing work the next day. Create Flexibility: All relationships are based on flexibility and so should the one that you have with your home improvement contractor. Everyone is working towards the same goal, you want your renovation completed in a timely manner with minimal stress and your contractor wants to please you and complete the renovation in a timely manner all with minimal stress. The holiday season is stressful all alone let alone adding in a major or minor home improvement project. Working with your contractor will allow the two of you to manage this stress while allowing the holiday happenings to continue on around it without major disruption. The type of flooring you invest in for your home depends on your wants, needs, and above all your budget. There are some things you will want to keep in mind when choosing flooring for your home. Carpet is a perfect addition to bedrooms where you want cozy, comfortable flooring under your feet however, carpet in a bathroom doesn’t make any sense. As a home improvement specialist, it is important to guide homeowners looking to redo their flooring in options that are available to them. Hardwood has always been a popular option for homeowners throughout history. Natural hardwood is a popular high-end material in flooring. Hardwood flooring is a classic option that homeowners often choose for its durability and longevity. Hardwood is made to be used for years and years. It can be stripped and refinished, creating a brand-new floor for your family to enjoy. It is a great option for homeowners looking to increase the value of their home. Another option similar to hardwood by less expensive is engineered hardwood floors. Similar to natural hardwood, engineered hardwood can be sanded down and refinished which makes it a good option not only for the homeowner but for future buyers. They are also not as vulnerable as hardwood when it comes to expansion and contraction. Once the floor is in place there is less chance for buckling. The best rooms in your house for hardwood, either natural or engineered are living rooms, dining rooms and low traffic rooms such as a guest room. Hardwood is noisier than other options in flooring. Many homeowners combat this issue with the use of throw rugs. Tile is a wonderful option for homes where moisture and humidity issues are common. Many homes in southern states will use ceramic tiles throughout the entire home for this reason. Tile can be a bit costlier to install than other flooring but the savings from water protection and its overall durability make the extra expense worth it. Tile is not only available in a number of colors it also comes in a variety of shapes, textures, and looks. Tile is extremely versatile from mirroring the look of wood or a fancy mosaic you can rest assured as a homeowner that you are purchasing durable flooring when you have tile installed. The best rooms in your home to install tile are the kitchen, bathroom, laundry room, and foyer spaces. It cleans up well and can handle high levels of moisture. It is also a great option to use throughout the home if you pair it with throw rugs. Carpeting is a natural choice for many homeowners looking to redo the flooring in their home. It is relatively inexpensive and easily provides wall-to-wall coverage without too much preparation on the homeowner’s part. Carpet can be purchased with a protective coating that allows it to repel stains which is good for households that include kids both two and four legged. Another benefit of carpet is the vast number of options to choose from. 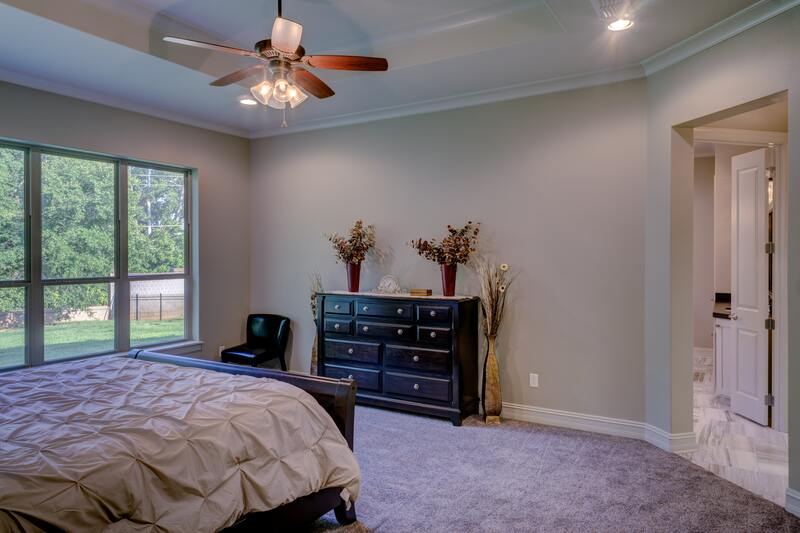 The best rooms in your home to install carpet are bedrooms and family rooms. Carpet is appealing because it emits the feeling of comfort and warmth. To create an even cozier feel with carpet choose a top-quality pad to go under it. The padding that you choose can even help increase the longevity of your carpet, allowing it to age gracefully along with your home and family. One of the benefits of improving your home with new flooring is that you have a lot of choices. The selection doesn’t need to be the same throughout. Homeowners can easily use a combination of flooring materials to create a space that best works for them. As with any home renovation it is best to meet with a home improvement professional to achieve the results you are looking for.